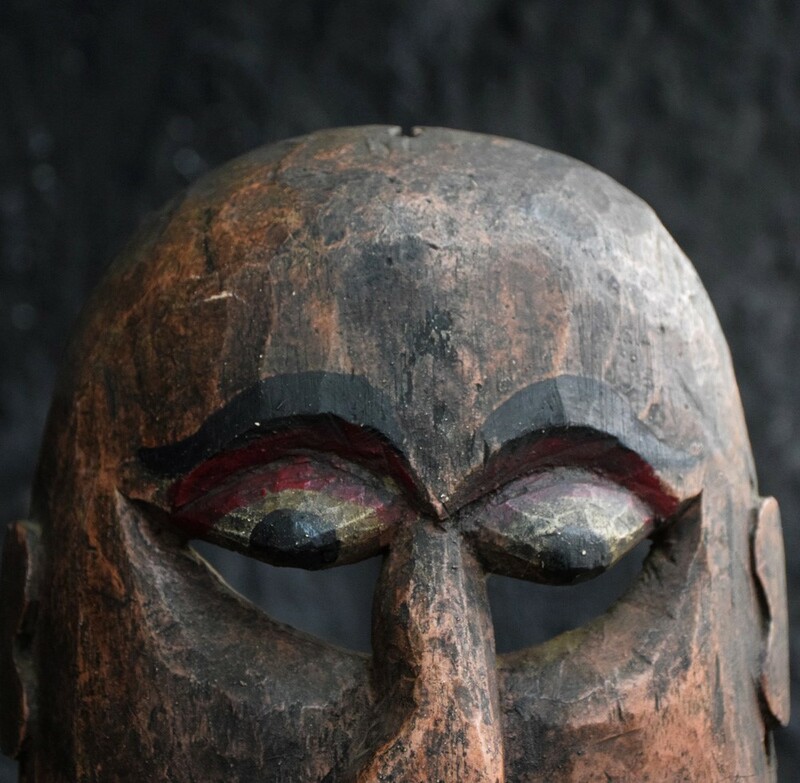 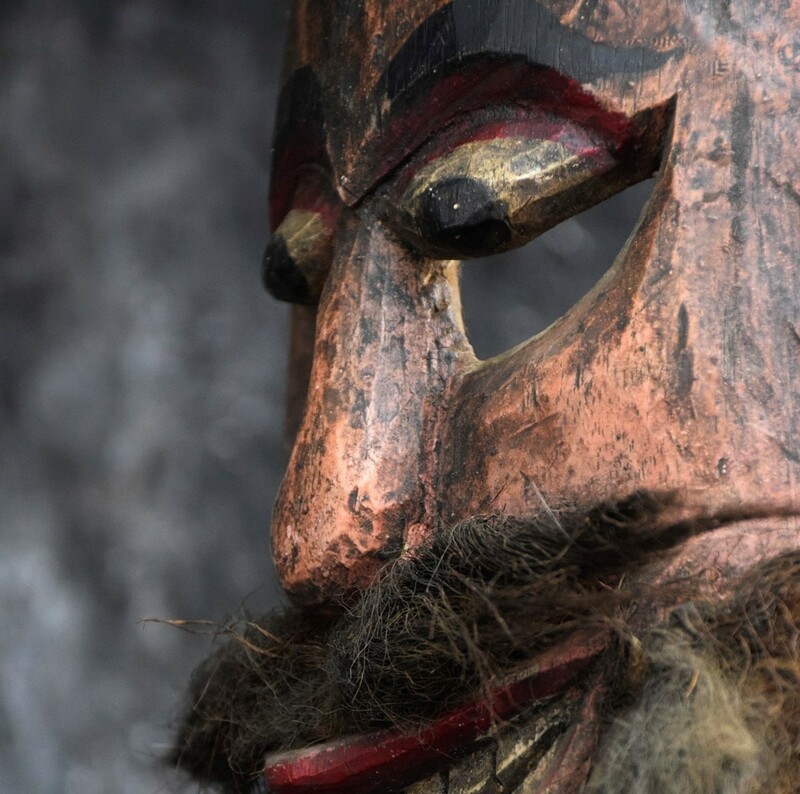 We are proud to offer a rare example of an early 20th Century German hand carved wooden carnival mask. 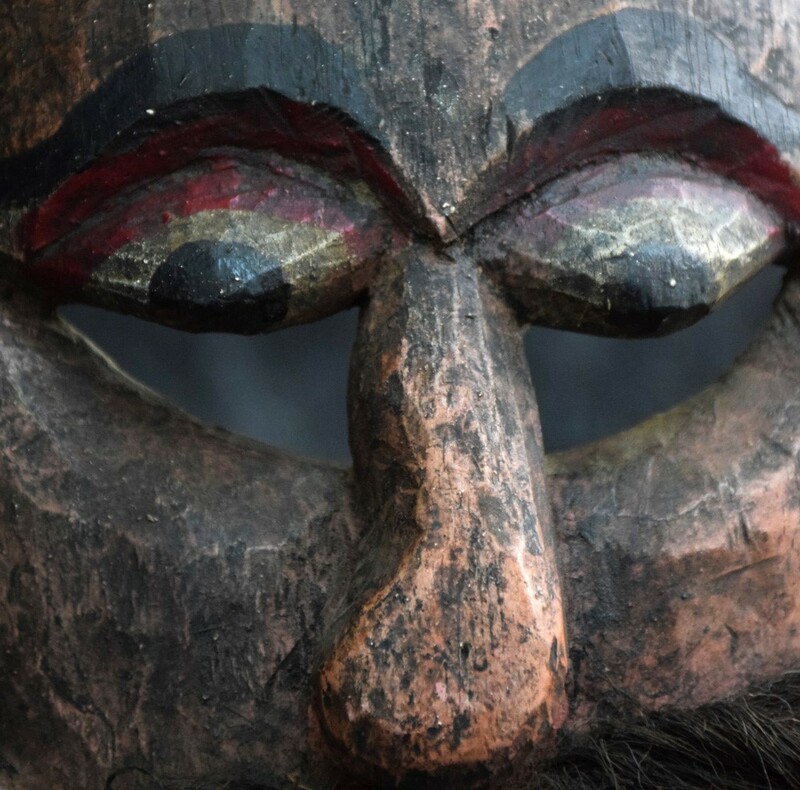 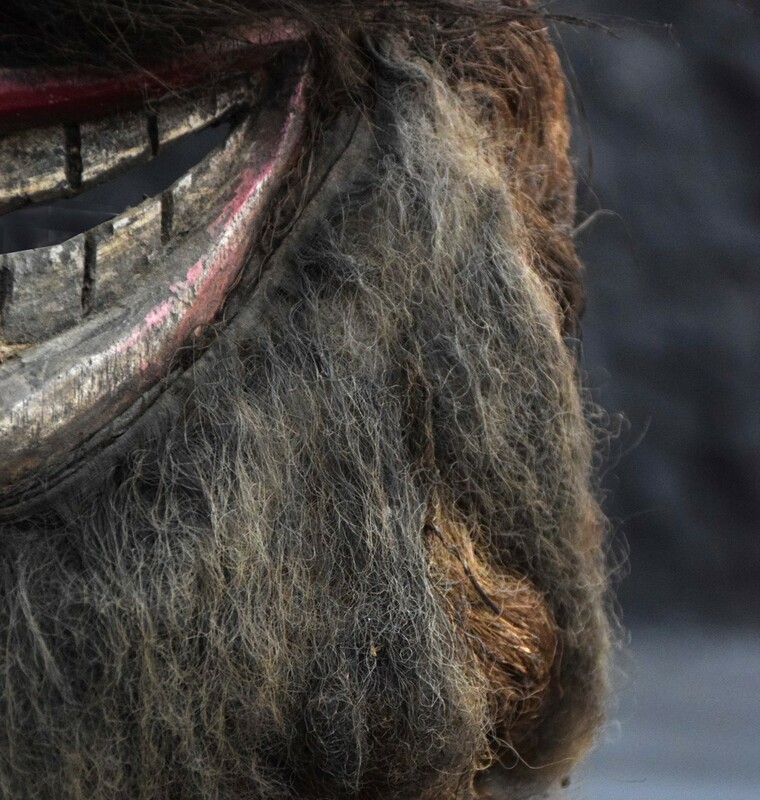 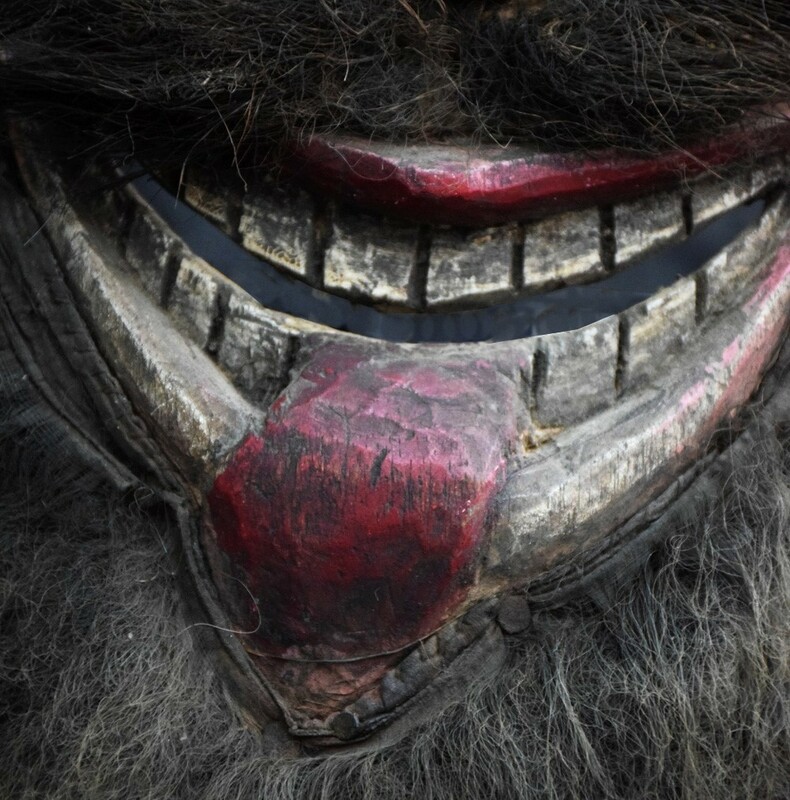 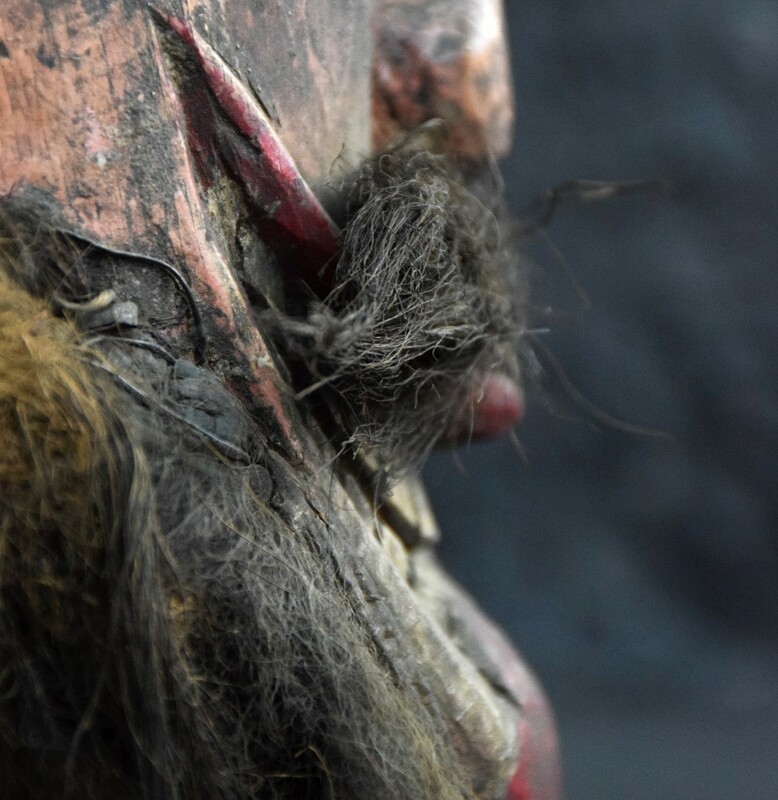 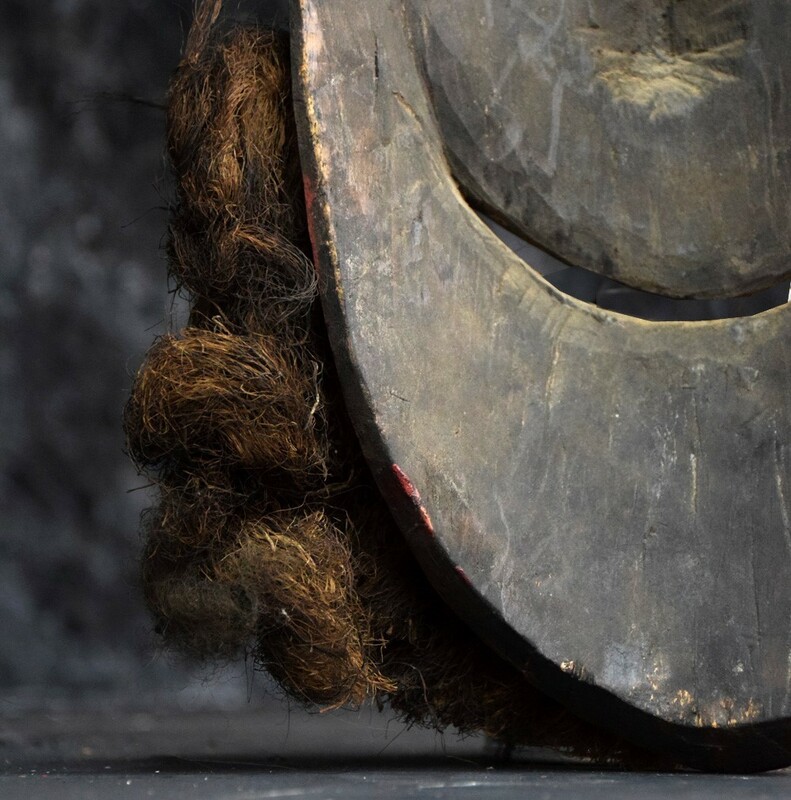 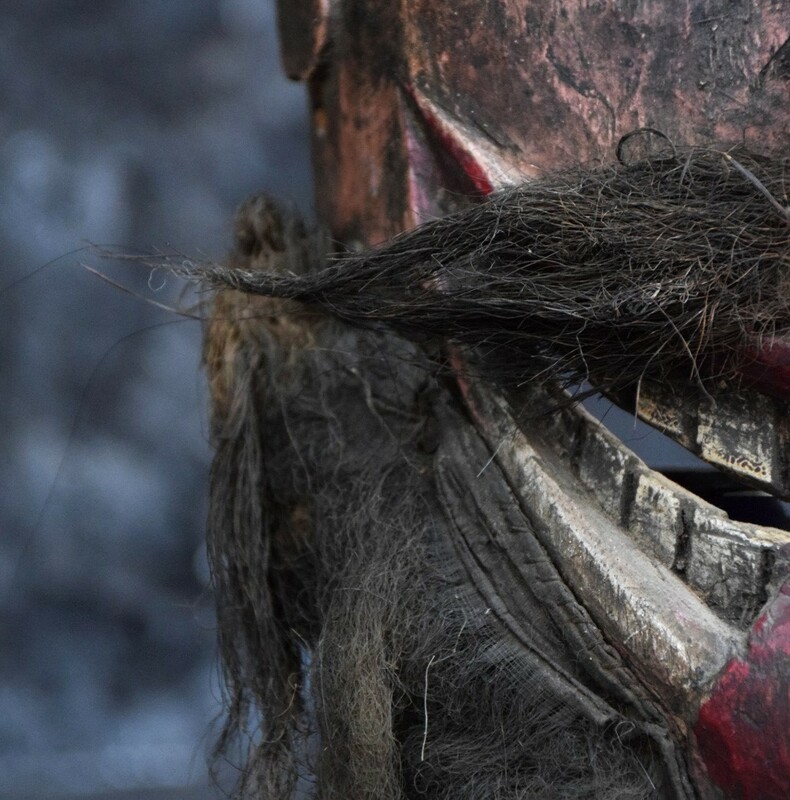 This mask is stamped with the number 3 on the reverse, has a beard that consists of a natural materials (mix of fiber and hair), hand painted with its original paint, cloth lined mouth (which holds the beard in place) and depicts a German folklore character with extended tongue. 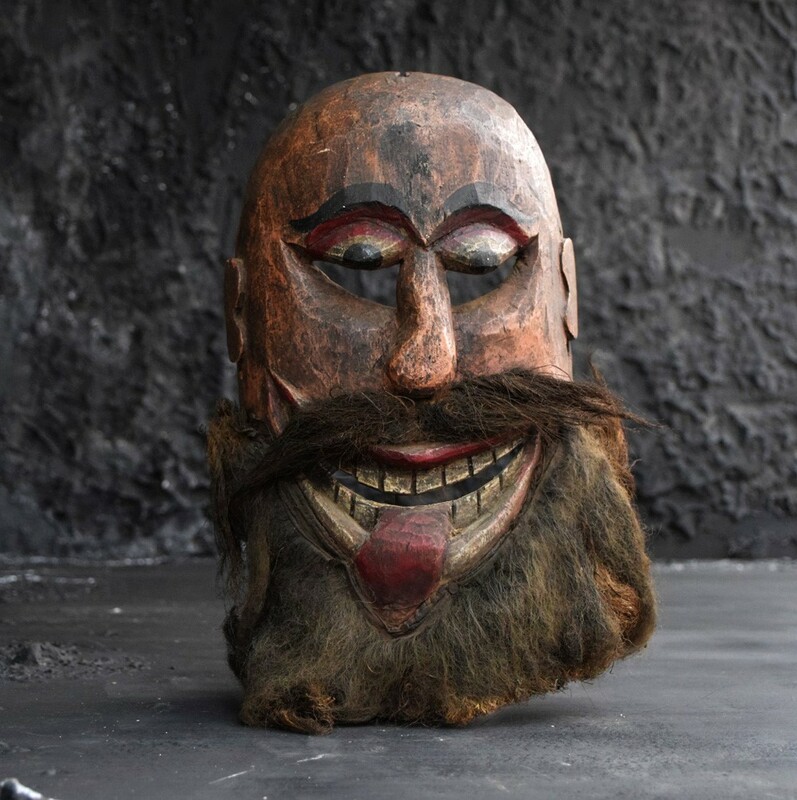 A wonderful untouched folk art example obtained from a private antique collector in German earlier this year. 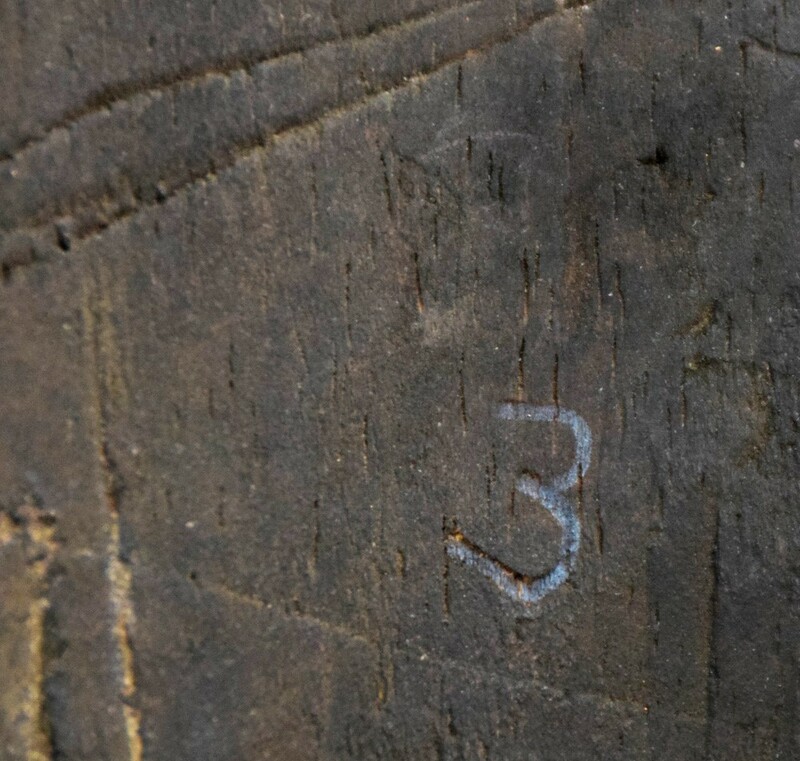 Condition: This item is completely solid in structure and form, fading and aged blemishes across areas of the surfaces which are shown in the photos provided and reflect its age. 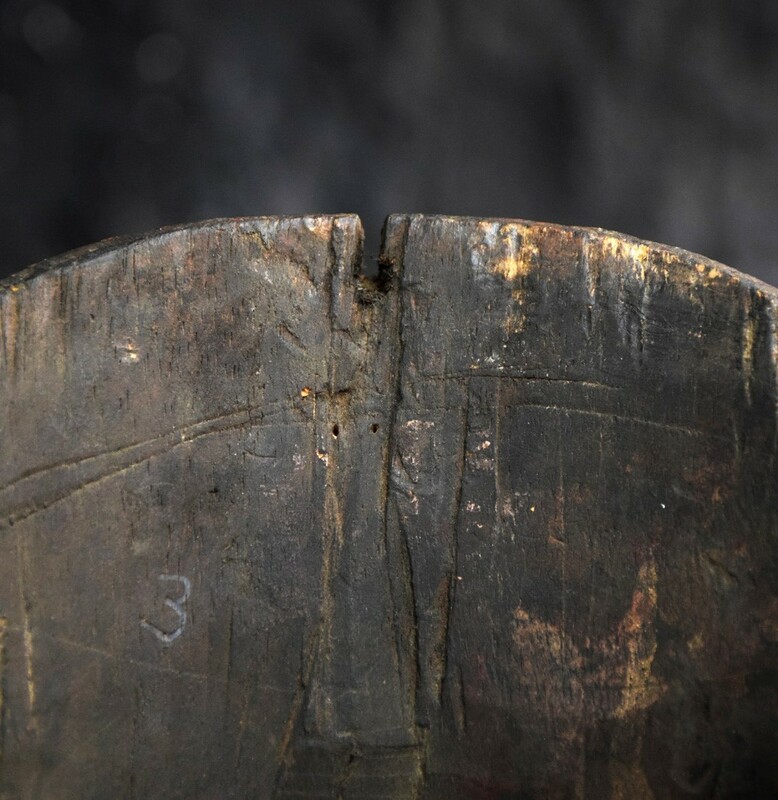 There are no cracks, breaks or previous repairs to this item, which makes it even rarer in form. 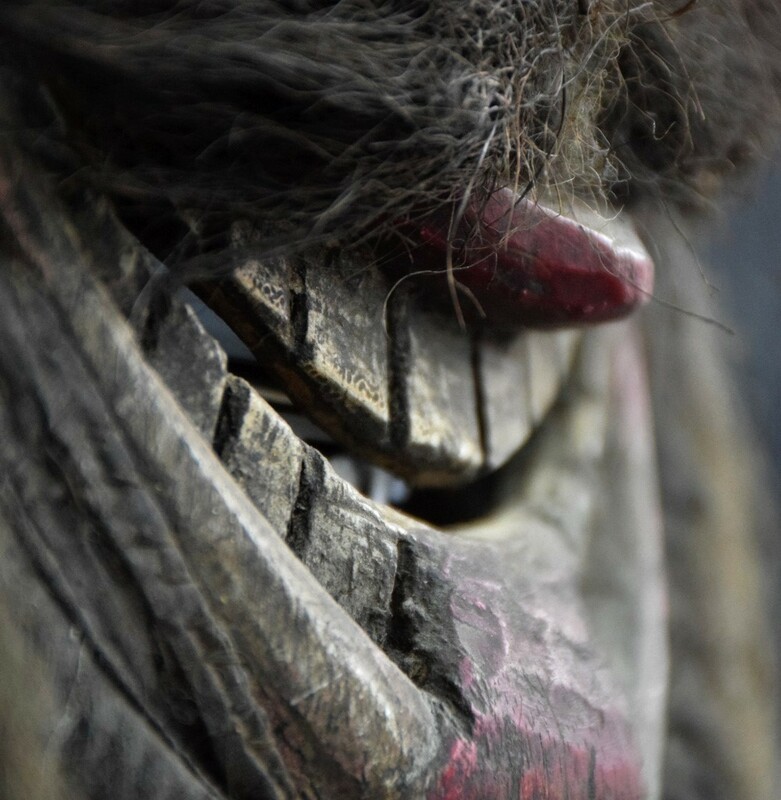 Please review all close up photos and propose questions before purchasing to avoid any disappointment.